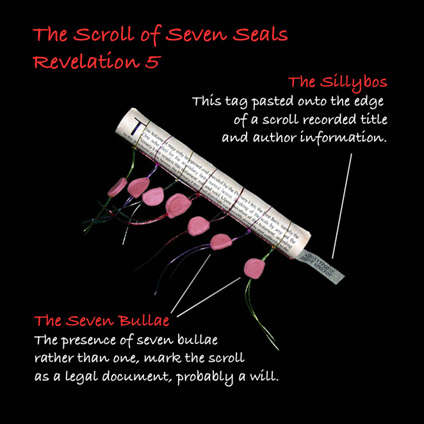 The scroll of Rev 5 is a deed of redemption, and as such becomes effectively a will of inheritance. It is the legal document proving that a qualified Kinsman has paid the price to redeem the land once forfeited by His family. As each seal is broken, the deed of redemption reveals what must occur for the Kinsman-Redeemer to physically repossess the land, wresting it from enemy squatters, and returning it to those who were originally given dominion over it. Blessed be he that is enthroned with the seven sealed document in hand. Blessed is he that can take it from his hand and open it. Such is practical fellowship in the revelation of the Presence of Jesus Christ.